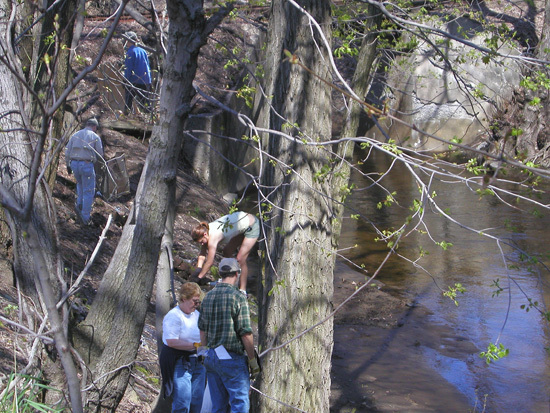 Friends of the Moshassuck is participating in two Moshassuck watershed events for 2018. 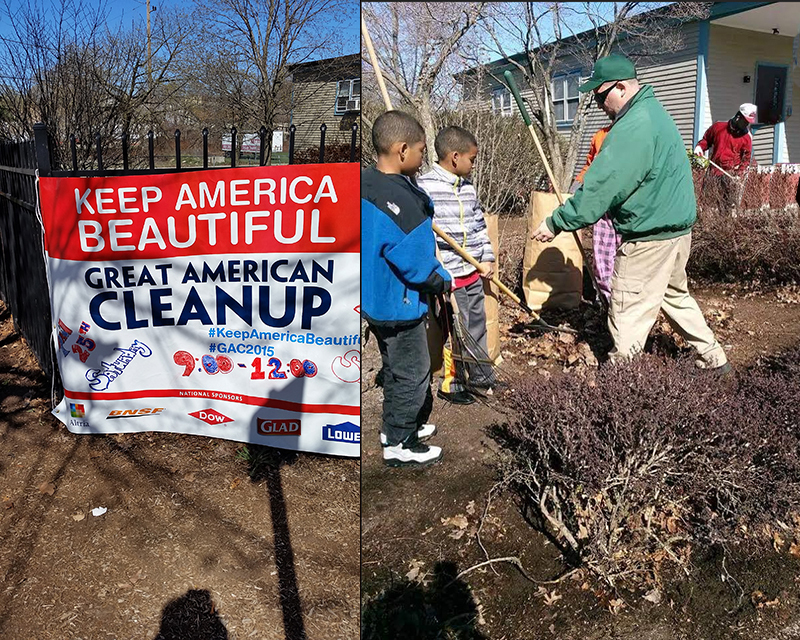 We'll be at the Galego Court Earth Day cleanup again on April 21st (see below) as well as participate in the Friends of the North Burial Ground cleanup on April 28th. 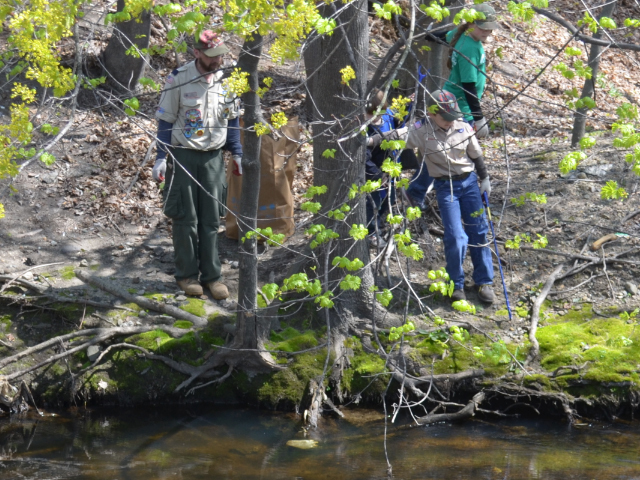 Once again, Friends of The Moshassuck focused on cleaning up the Moshassuck River banks near Galego Court from 9am-1pm for Earth Day 2015 (similar to 2014's event). 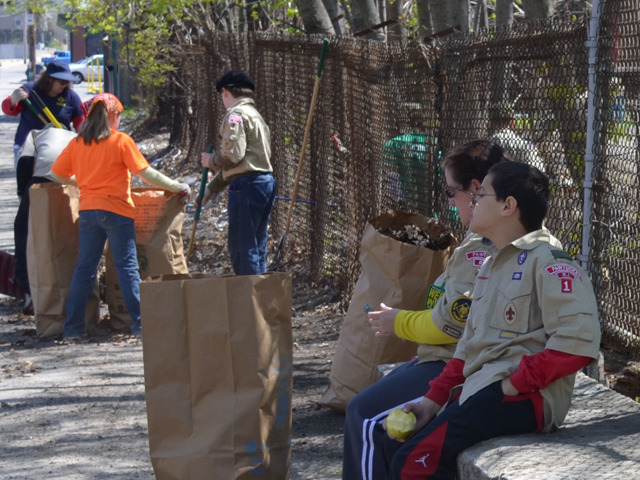 Some six hundred people attended to help celebrate the planet and their communities by cleaning up accumulated trash. 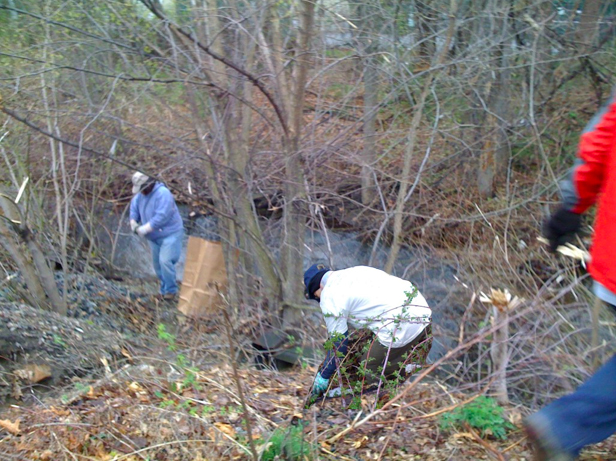 Friends of The Moshassuck focused on cleaning up the Moshassuck River banks near Galego Court from 9am-1pm on April 27, 2013 — our first Arbor Day event after Earth Day events on April 23, 2011 and April 21, 2012. 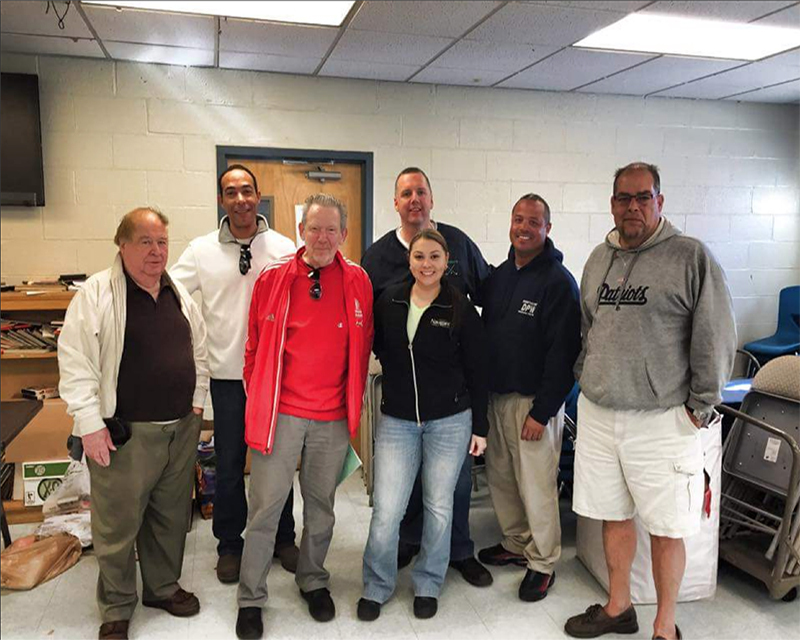 We met at 483 Weeden Street in Pawtucket and enjoyed food and celebrations as we helped lead our peers to a meaningful clean-up. 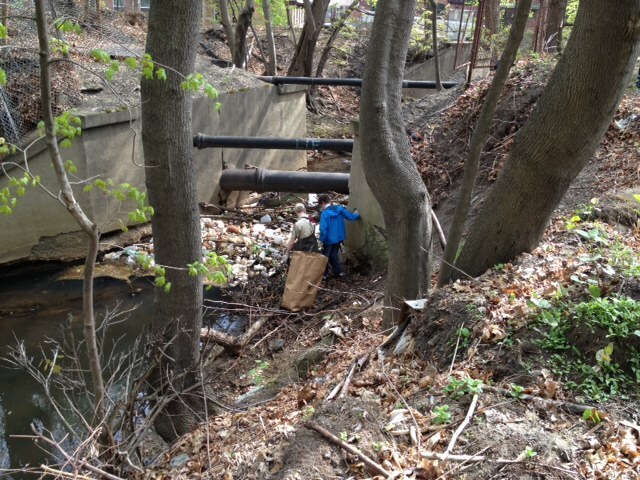 Friends of The Moshassuck participates in the international Earth Day activities by cleaning stretches of the Moshassuck River and its riverbanks. 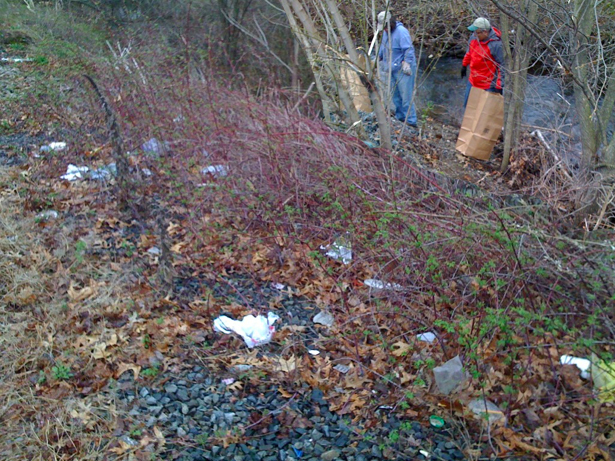 Spring is a great time to clean up the river as the foliage is not fully out and we can gain access to the river. 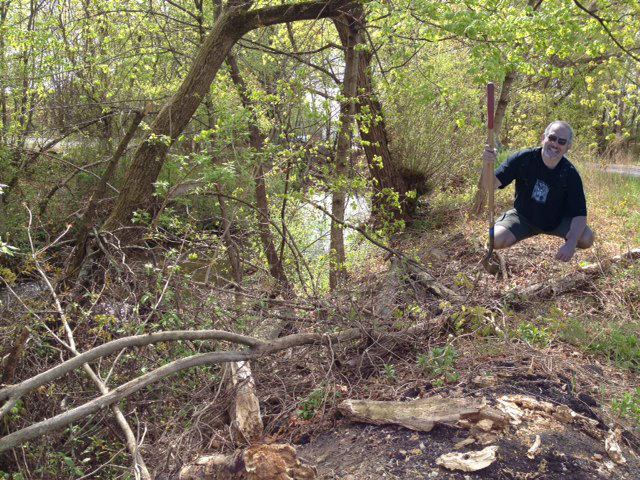 We get a surprising amount of exercise bending, squatting, and pulling heavy objects out of the river. 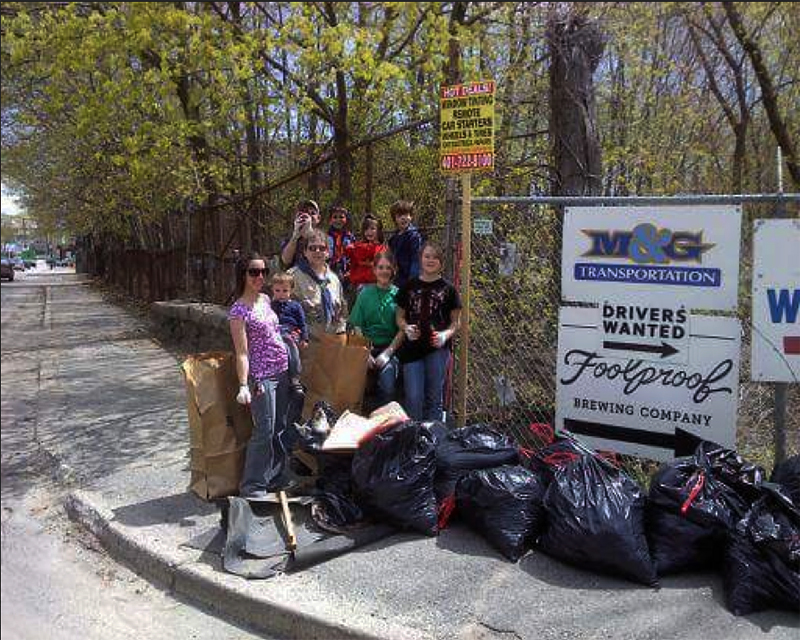 It's great to see a community get together for Spring cleaning with one last inspection downriver by San Antonio Way. We all head home with a sense of accomplishment. 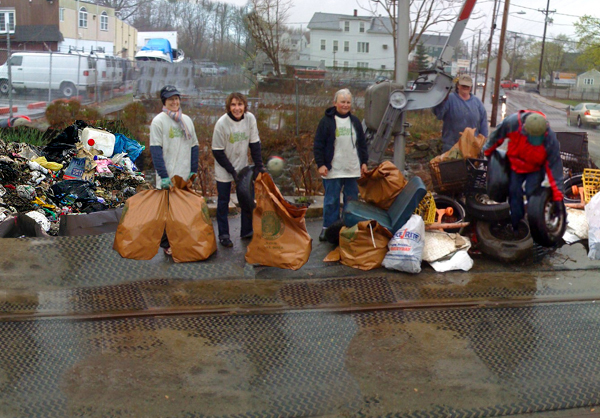 Pictures from previous cleanup events here.